The key to Hungarian cuisine is simplicity and time. 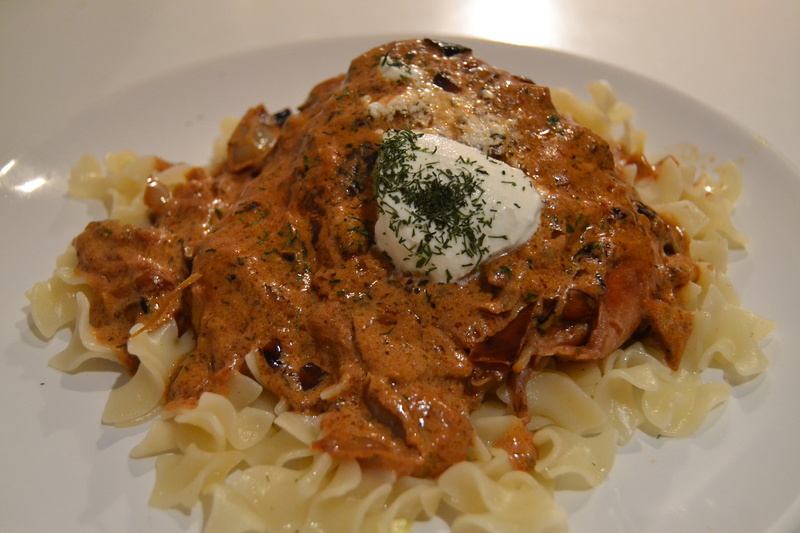 Csirke Paprikas (‘Paprika Chicken’) is one of the greatest of Hungarian culinary perfections. A day after arriving in Budapest, we made our way to the Great Central Market, which stands only a stone’s throw from the Danube. A beautiful market filled with dozens of stalls. Dried peppers tied in wide arches over the glass cases of homemade cheeses, meats, and pickled vegetables. We bought four chicken thighs from the butcher, homemade butter and sour cream from the dairy stall, tomatoes, paprika, dill, red peppers, and noodles from another. The day turned to night, and midway through a bottle of korte palinka (pear brandy), we ate as though we’d never eaten before. The oldest covered market in a city of covered markets. Founded in the 17th century, Marché Des Enfant Rouges (‘the market of the red children’), was named as such after a neighboring orphanage where the children wore red uniforms. Easily missed through a small iron gate between two businesses on the crowded and narrow streets of the Marais. Past the flower shops, and old postcards wrapped in plastic. Past the white peaches, the bright green pears, and the tins filled with lavender stalks. A long glass case with crumbled cheeses, piles of couscous, yogurt, and hummus. 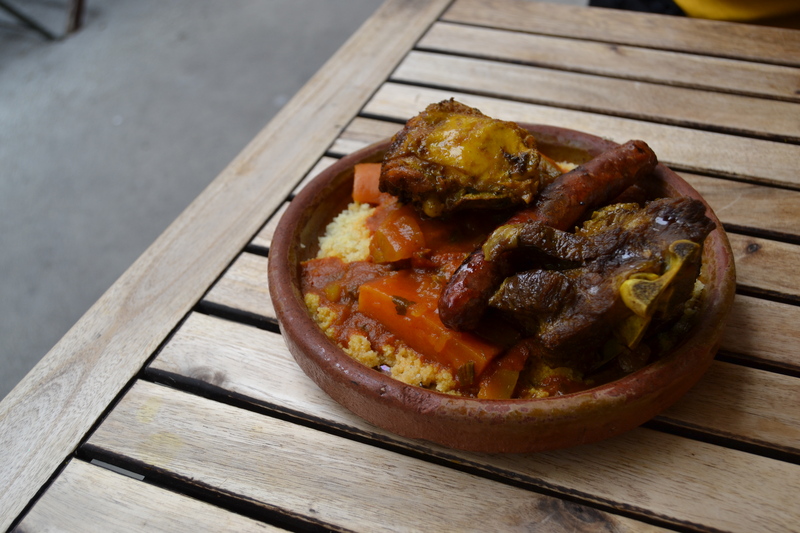 Rotisserie chicken and the tenderest lamb in a light tomato sauce, Merguez sausage and couscous. We lingered for a while, watching the mild bustle of Parisians and tourists moving back and forth along Rue Bretagne. Mighty words to live up to. Words I hoped deeply to ratify by the judgement of my own taste buds…so I made L’As Du Falafel, located in the Old Jewish Quarter of the Marais in Paris, my first destination. 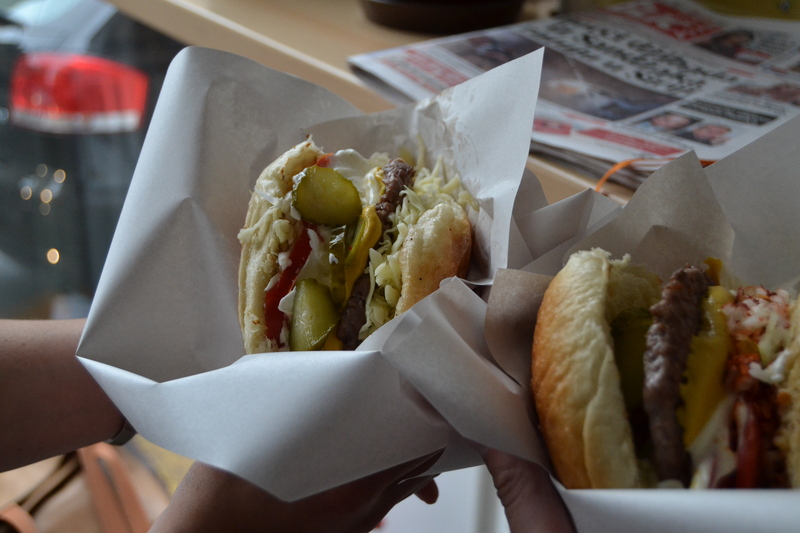 L’As du Falafel is a place that makes you re-consider what makes good street food. The greatest quick eats I’ve encountered always do a narrow set of things exceptionally well, and nothing is overlooked in this, perhaps the best falafel I’ve ever had. Mainly, the cabbage is not soggy, or loaded down with vinegar, the falafels are crispy without being oily, or dry. I would have been perfectly content with a Srirracha-like hot sauce but this was homemade, balanced and not overpowering. In the most unlikely of places, I found an unparalleled example of the falafel sandwich.